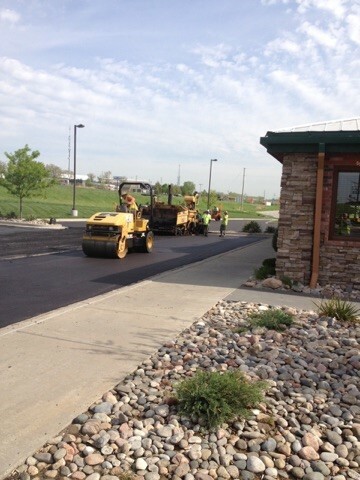 Stabilize and/or repair damaged or deteriorated areas of existing lot to be resurfaced. 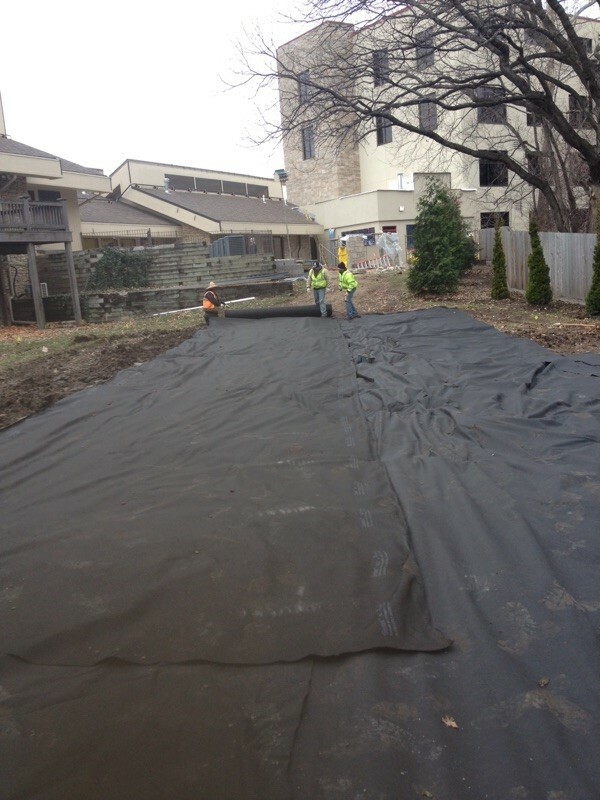 Edge mill curbs and transition areas, as required, to insure proper profile and drainage. Clean area of vegetation, dirt, and surface debris. 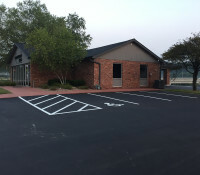 Install asphalt leveling course, as required, to level any severely depressed areas. 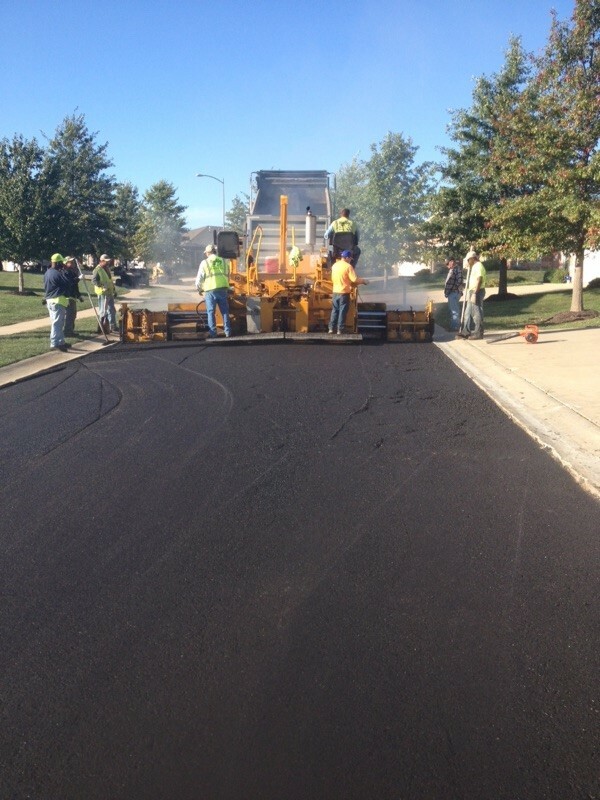 Apply SS-1H emulsified liquid asphalt tack coat to surface. 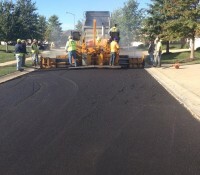 Install specified inches of hot mix asphalt surface material. 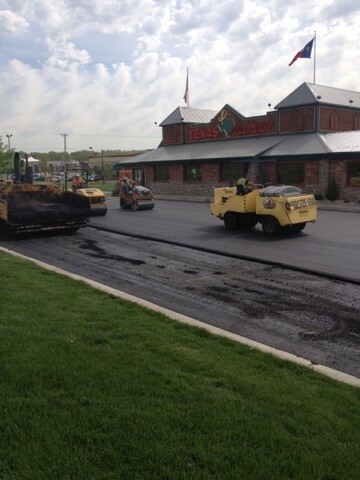 Compact and roll surface course to smooth finish. 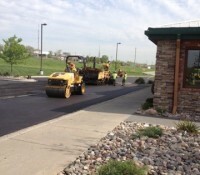 Petromat extends the life of a new asphalt overlay. It consists of Amoco’s non-woven polypropylene fabric, field saturated with an asphalt cement tack coat. 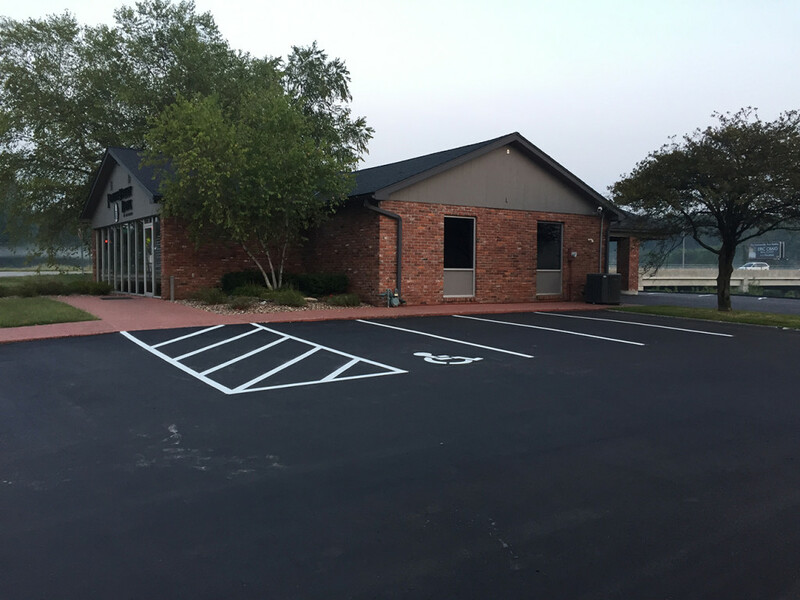 When placed between the existing pavement and the new overlay, the Petromat becomes an integral part of the pavement, forming a barrier to water infiltration and absorbing stresses to reduce reflective and fatigue cracking of the new asphalt surface layer.